I could never do what I do without the people who help me. My husband, his pilot friends, the everyday people sending me “toxic-algae” imagery, the River Warriors community, and when it comes to striking the bull’s-eye, my science-studied-lawyer, little brother, Todd. 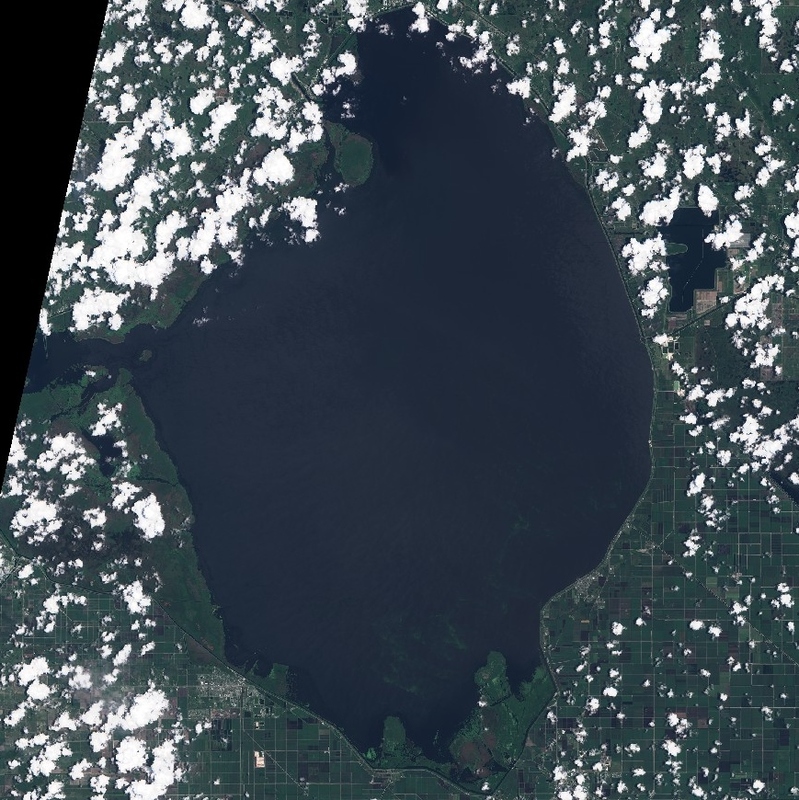 Just hours ago, Todd forwarded these images from satellites, Landsat 7, and Sentinel 2, clearly showing a large algae bloom photographed yesterday in Lake Okeechobee. 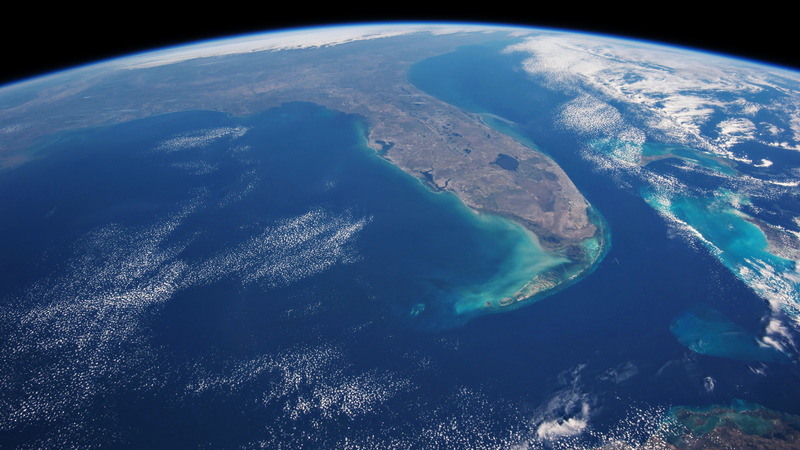 102 square-miles of it! …Do not tell me the algae comes from our river. It does not. We have been through this before…. 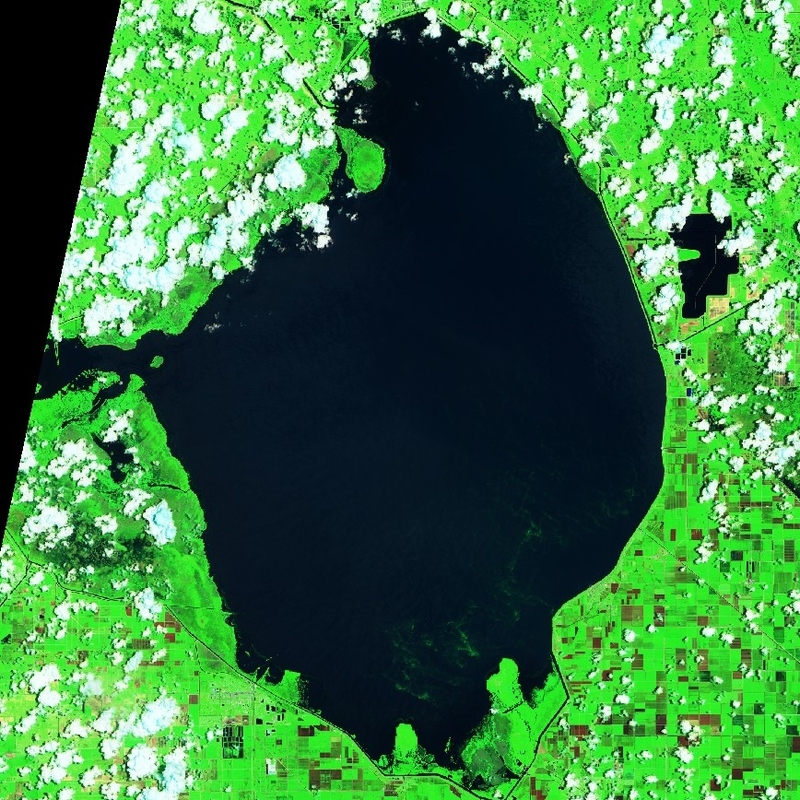 The algae, that can become toxic, and maybe already is, starts in, and comes from the crock-pot of Lake Okeechobee. The Army Corp of Engineers should stop discharging right now. Right when the Colonel sees these images. 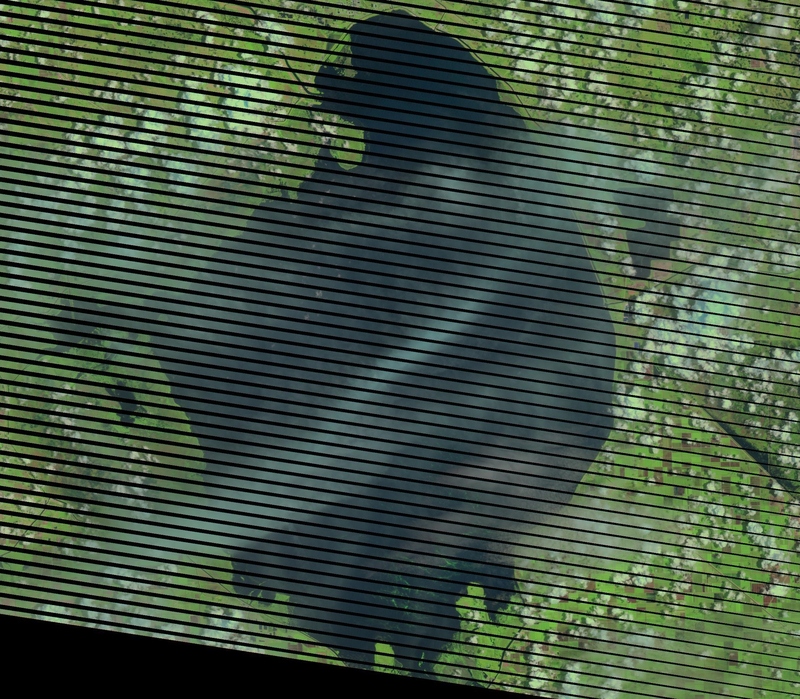 And these images have been seen, because NASA makes these images available to the Corp. When a satellite image like this is made public, it cannot be ignored. The ACOE should close the gates of S-308 until DEP has tested all edges of this large bloom. 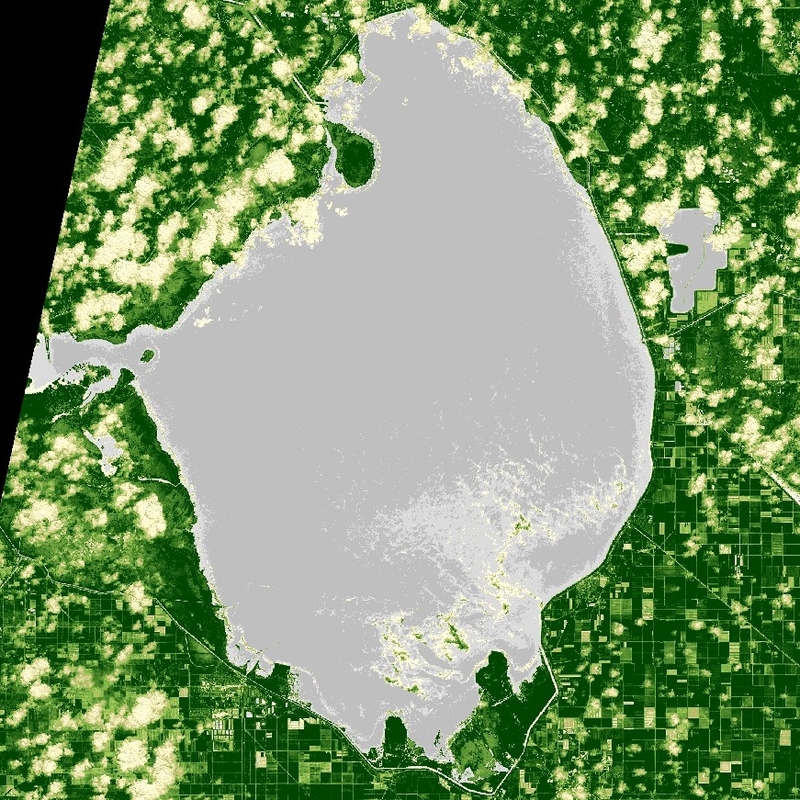 And work for never discharging when there is an algae bloom in Lake Okeechobee. 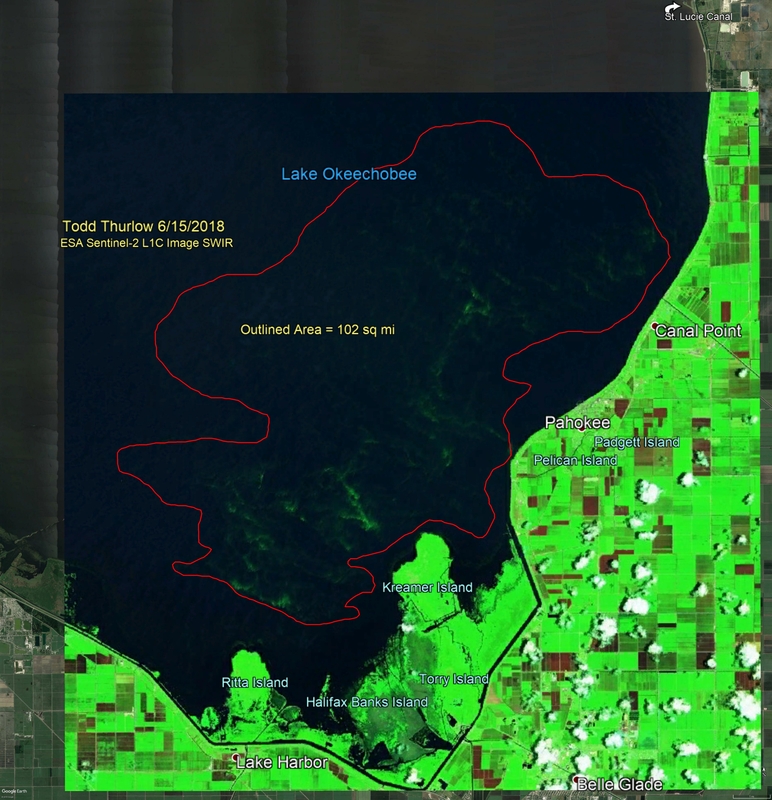 Stop the discharges from Lake Okeechobee! As we continue our historic journey, today we view pages 8-9 of the 1937 Stuart Daily News. 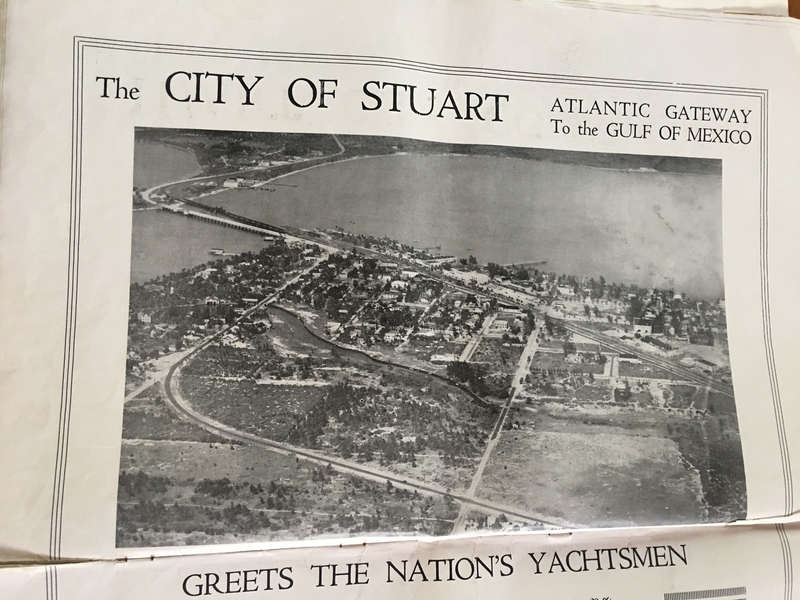 Today’s ad for the City of Stuart is so large that it is featured side-to-side rather than top to bottom in the publication. 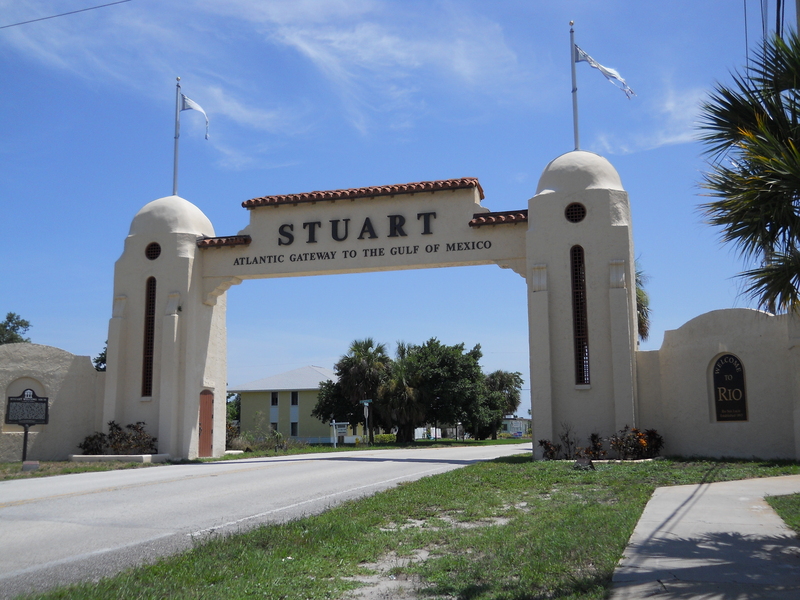 Proudly, because of the completion of the Stuart to Ft Meyers Cross-State Canal, Stuart has branded itself as “the Atlantic Gateway to the Gulf of Mexico,” particularly for the nation’s yachtsmen. 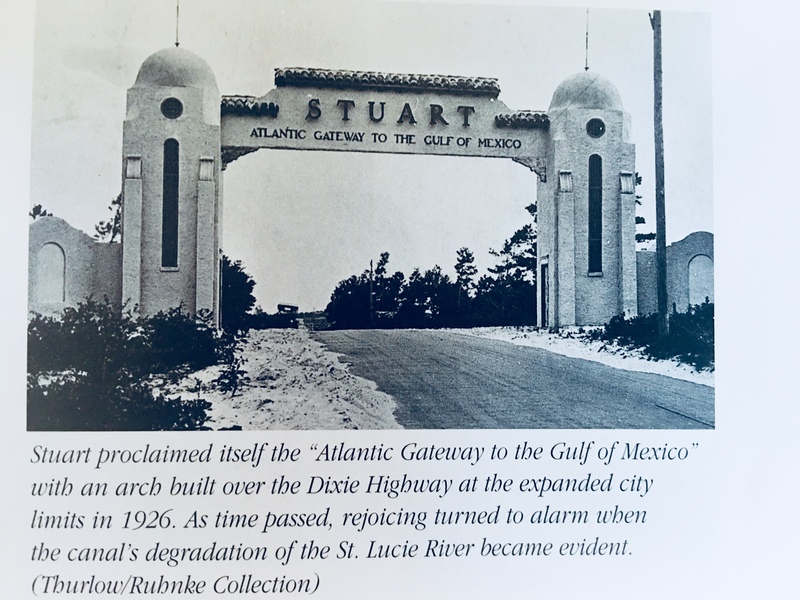 Although this image below was not in the publication, I wanted to include it because one might drive by and not recognize this recently renovated, now officially registered historic structure in Rio for what it really is, ~a monument to the cross-state canal! From page 9 of Stuart on the St Lucie by Sandra Henderson Thurlow. 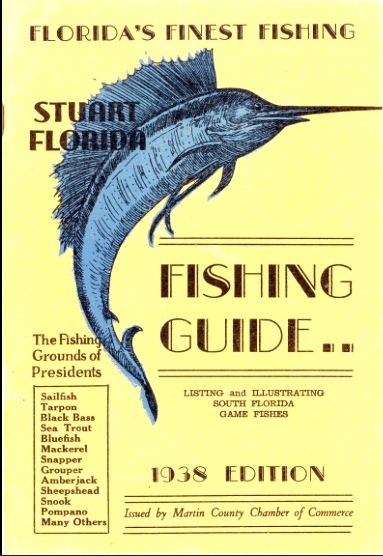 Of course also in the ad Stuart lauds itself as a fishing mecca touting: “Florida’s finest fishing in adjacent waters.” The truth of the matter is that the quality of the St Lucie River and Southern Indian River Lagoon, as documented by local fishermen, had been deteriorating since the opening of the St Lucie Canal to Lake Okeechobee in 1923. 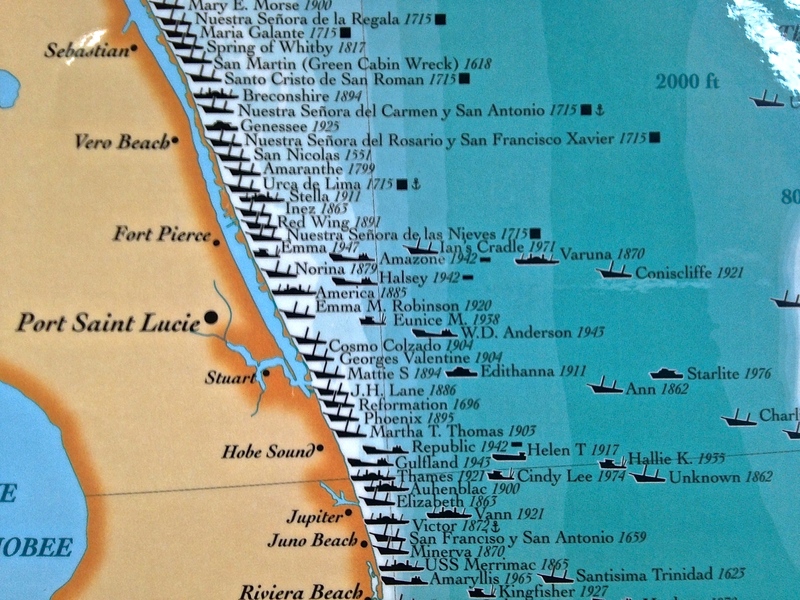 (Sandra Henderson Thurlow, Stuart on the St Lucie) Nonetheless, the rivers and ocean remained “marvelous” fishing arenas as this 1938 Chamber of Commerce Fishing Guide shows. 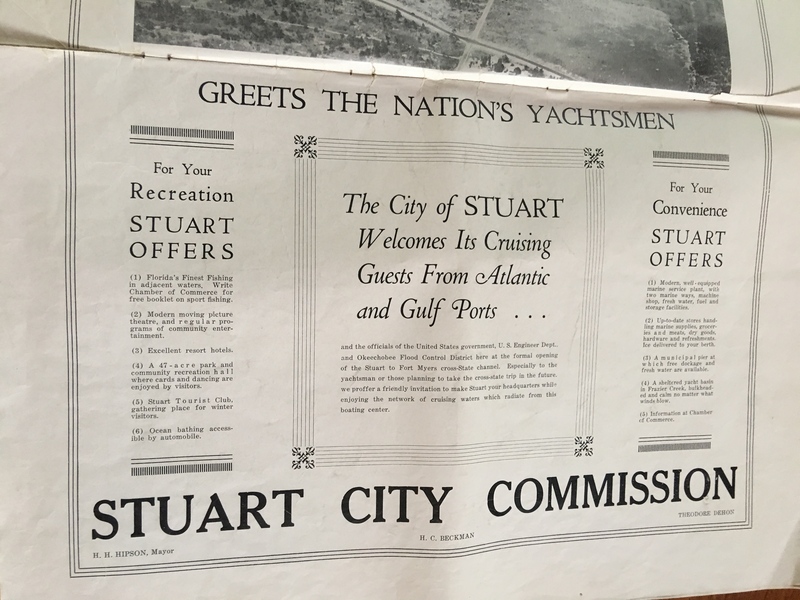 Today, the City of Stuart remains the vibrant and beautiful heart of Marin County, but it no longer brags about being “the Gateway to the Gulf of Mexico.” As much as the St Lucie Canal has caused issue with our local waterways, I do think the Stuart to Ft Meyers connection, and being a starting point for a historic boat trip across the state is worth re-boasting about! 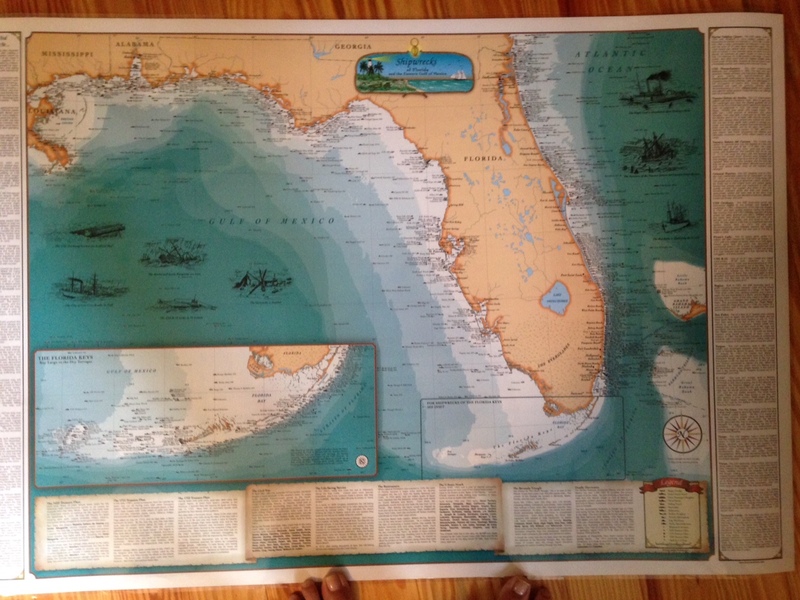 Photo of Jupiter Island, The Stuart Daily News, 1937, courtesy Knight A. Kiplinger. 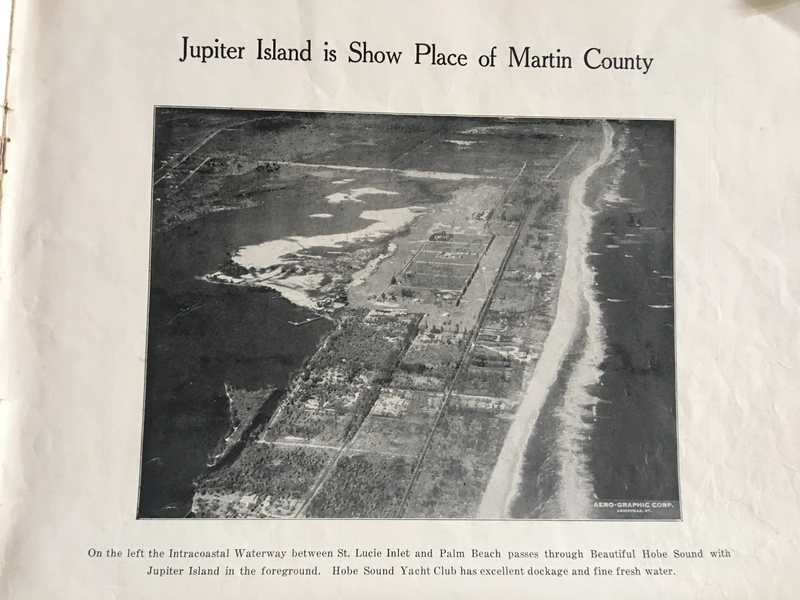 My brother, Todd Thurlow, created a new “Time Capsule Flight” to give us historic perspective into my last blog post asking a question about an aerial photograph on page 3 of a 1937 Stuart Daily News, special edition, featuring Jupiter Island’s Golf Course. Todd’s video flight, using historic maps from 1883, 1885, and 1940 as well as today’s Google Earth technology, answered this question. Watch Todd’s video below and see for yourself the fascinating changes over time. Good for the golfers, not so good for the birds! Mystery solved by a Time Capsule Flight! Thanks Todd! 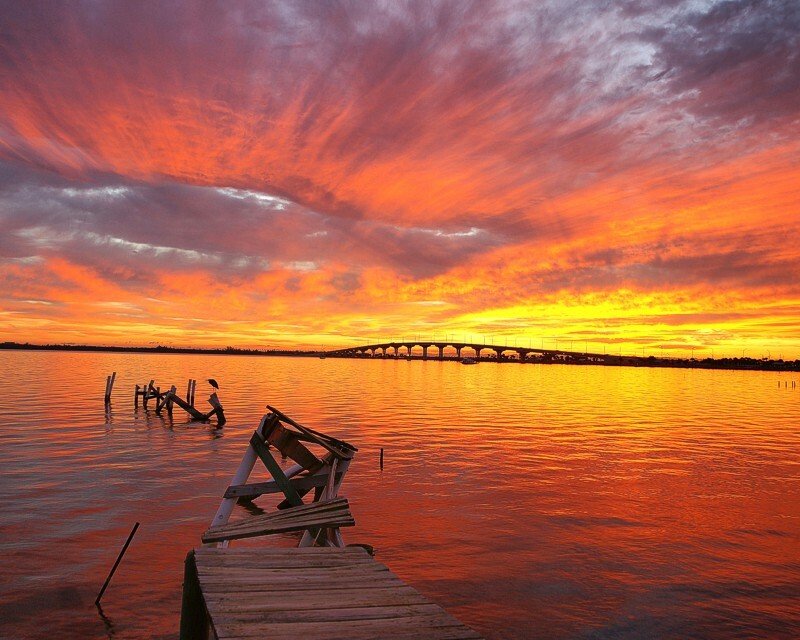 My husband, Ed, took these photos of the Indian River Lagoon at the St Lucie Inlet on 2-28-18, just a few days ago. They are certainly beautiful enough to sell real estate…The turquoise water is so pretty one could easily overlook the sand desert below the surface waters. 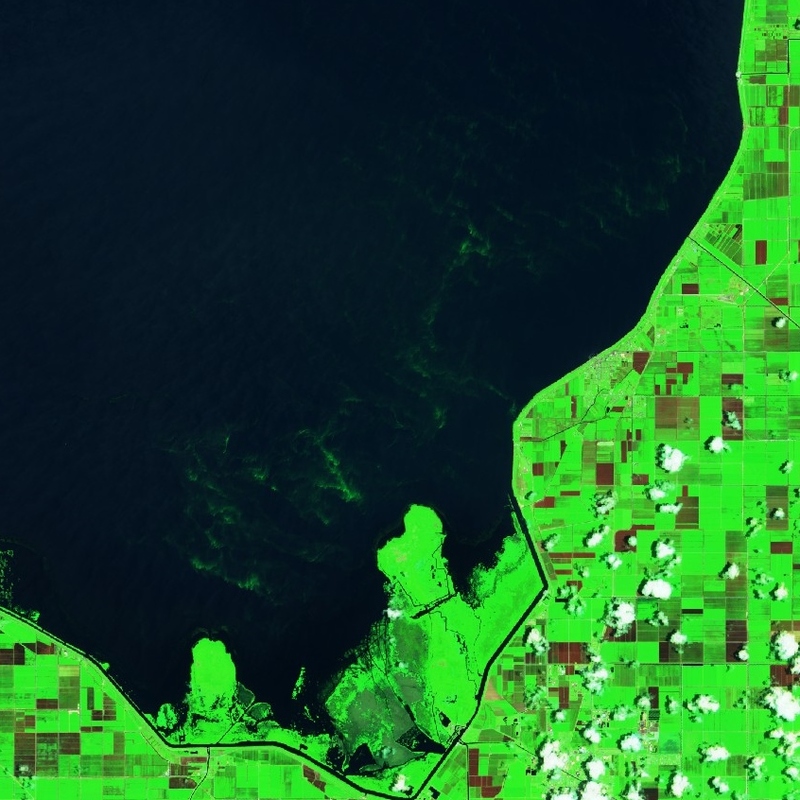 Enjoy the blue water, but know that especially since 2013, our seagrass beds have been decimated by black sediment filled waters and toxic discharges from Lake Okeechobee. Seagrasses are the nursery for all sea life, especially the baby fish. These beds need time to reestablish if they ever will. True beauty has something to offer, not just “surface water.” Keep your eye on the lake and fight against any coming releases this summer so we can get life back in our dear dead river. This photo of a panther in Sebring was recently shared by a friend. I do hope this magnificent creature has visited western Martin County. Since late October, it has certainly made the rounds. Males roam hundreds of miles, a female less, but easily could cover ground between almost neighboring Martin and Highlands counties. Can you imagine trying to navigate today’s world? 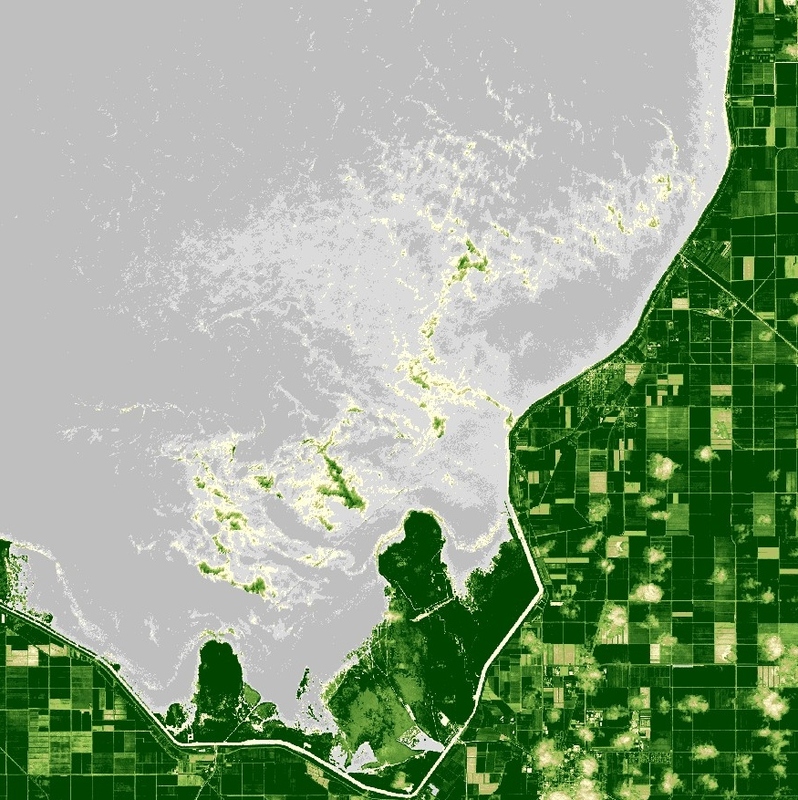 Freeways, subdivisions, fences, shopping malls, the great forests gone…Canals cutting the lands and watersheds apart? Over 34 panthers were killed on Florida highways in 2016, and at least 23 in 2017. 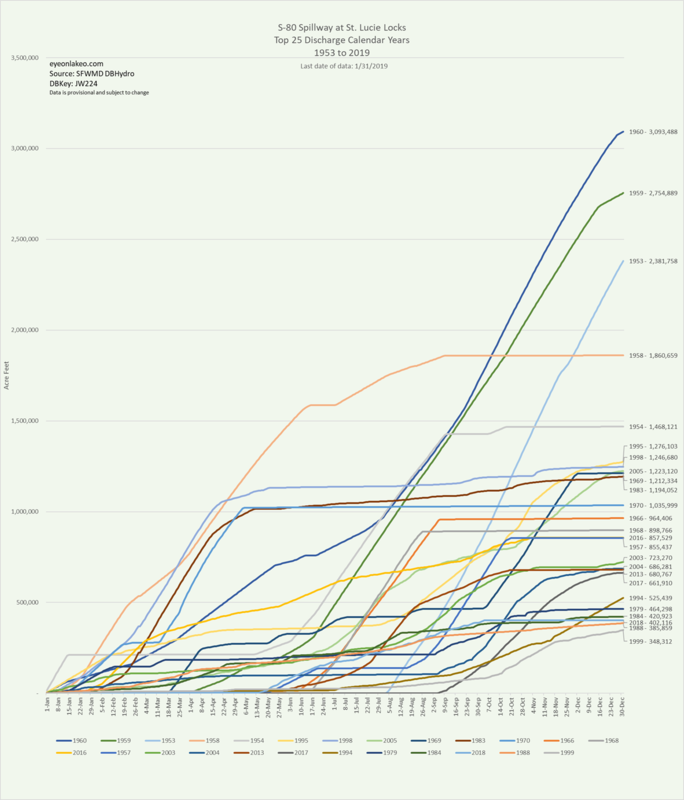 With an estimated 230 in the total population, those are terrible numbers. We must work harder to complete wildlife corridors across the state to allow these animals to breed and travel into north Florida and Georgia. Being stuck in South Florida is a radio-collared death wish. If this panther does visit Martin County, we’ll probably never know it; though large they are smart to be very, very, shy. Thank God there is something left to run wild in the world; 😊 it gives me something to dream about. Last night was just for fun, but one still feels the pull to protect this sacred place. The beauty of the lands lighting up beneath us was almost as inspiring as the sunset. Humanity, such promise.